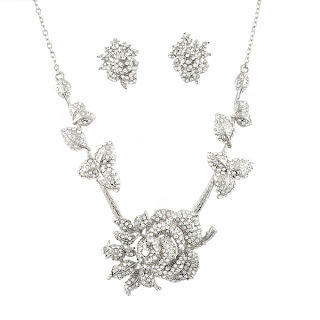 Stunning vintage inspired necklace and earring set featuring a beautiful crystal studded rose focal point surrounded by crystal studded leaves. Matching stud earrings. An elegant statement piece for a special occasion. Earrings: Approx 3 x 2.5 cm.